If you’ve ever taken a basic biology class, there’s a good chance you came across a Punnett square, that diagram that allowed you to see how certain genetic traits would match up and which ones could be dominant (see Mendel’s laws for more on this). But although it’s easy to say that between a tall and a short gene, the tall one is dominant, it’s not necessarily the case. 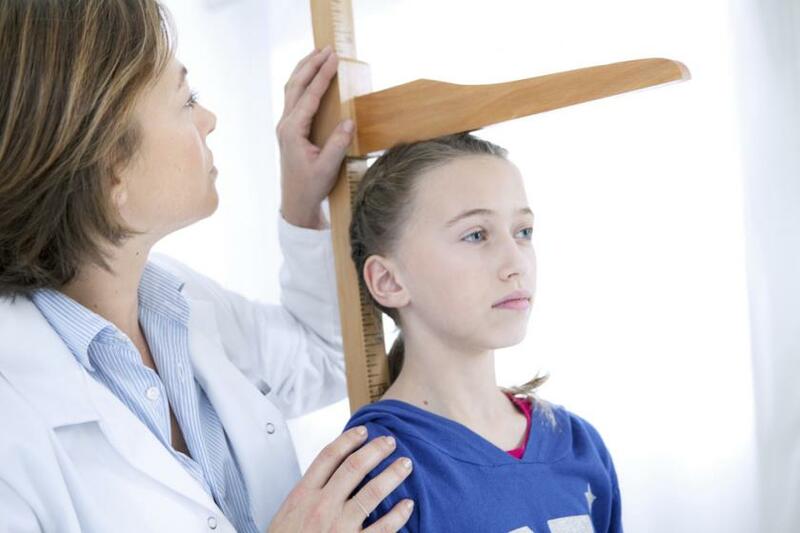 A new study from Boston Children’s Hospital finds that there are hundreds of genes that contribute to a person’s height. “Height is almost completely determined by genetics, but our earlier studies were only able to explain about 10 percent of this genetic influence,” said Dr. Joel Hirschhorn, of Boston Children’s Hospital and the Broad Institute at Massachusetts Institute of Technology, in a press release. With their new study, they can now explain about 20 percent of heritability from height. With height being a major genetic trait for study, that’s a big deal. The study involved more than 300 institutions collaborating on the Genetic Investigation of Anthropometric Traits (GIANT, but who comes up with these acronyms?) Consortium. Over 253,000 people had their genomes analyzed, and researchers narrowed down the most common genetic variants to two million, which appeared in at least five percent of the participants. Next, they narrowed the two million genes down to just those related to height, finding 697 variants throughout 424 gene regions. These regions, they say, could hold the rest of the variants that have yet to be discovered. It’s believed that up to 80 percent of a person’s height is determined by genetics; however, the research shows that it’s not just genes directly related to bone growth that are associated with growing tall. For example, the mTOR gene, known for its role in cellular growth, was also found to boost height. So were genes related to collagen (a structural protein in connective tissue) metabolism, and some genes that seemingly have no relation at all. Source: Wood A, Esko T, Yang J. Defining the role of common variation in the genomic and biological architecture of adult human height. Nature Genetics. 2014.